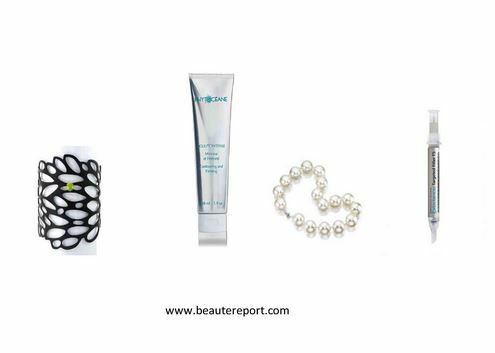 Congratulations to our ClientsÂ Urban Lace and Hot Girls Pearls for their feature on Beaute Report! Who knew old bicycle inner tubes could be so fashionable? On a mission to lessen the number of bicycle inner tubes placed in land fills, the founders of Urban Lace have found a solution: fun and fashionable jewelry. Check out their collection of bracelets, necklaces, earrings, masks and more! Elegant design with the planet in mind. Check them out at urbanlacejewelry.com. A menopausal mom is usually an uncomfortable mom. Bring her comfort while staying in classic style. Hot Girlâ€™s Pearls is a great wear for Mom when hot flashes flare up. Add this to her beloved bauble collection.Â This will be one time Mom appreciates chilling out!